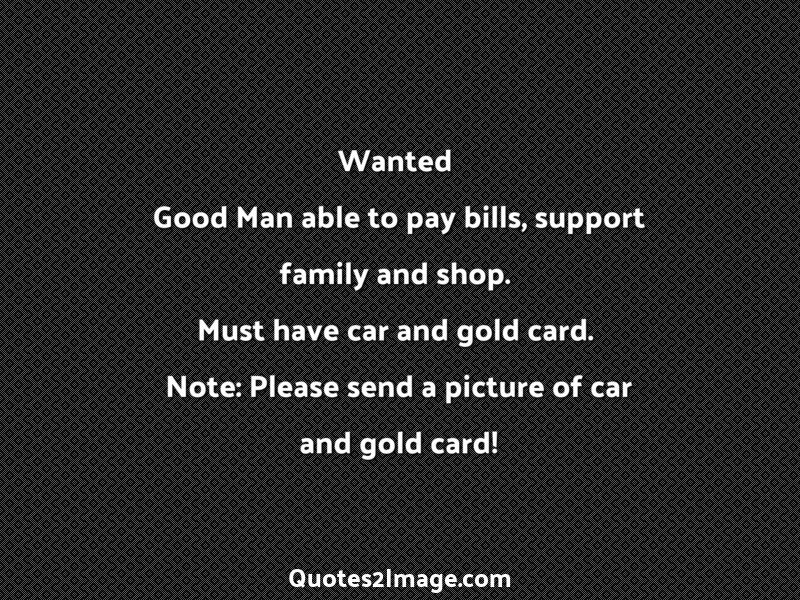 Good Man able to pay bills, support family and shop. 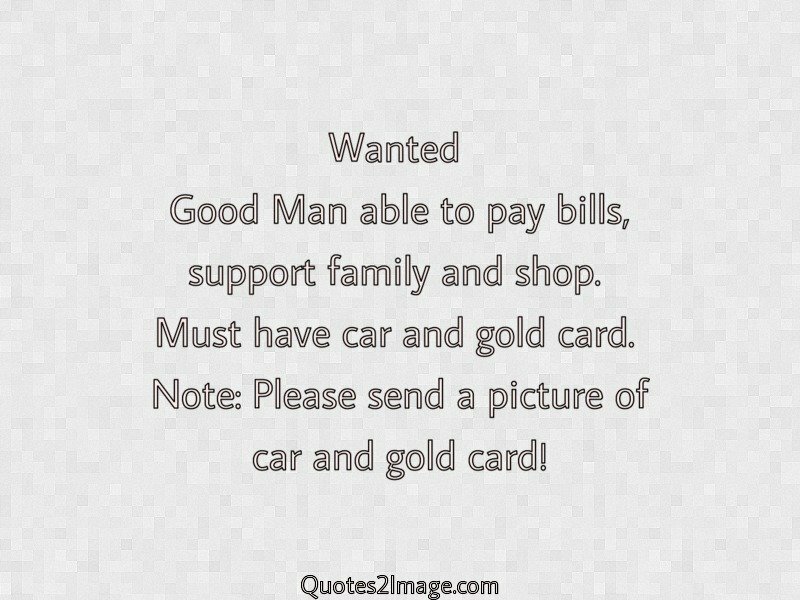 Must have car and gold card. 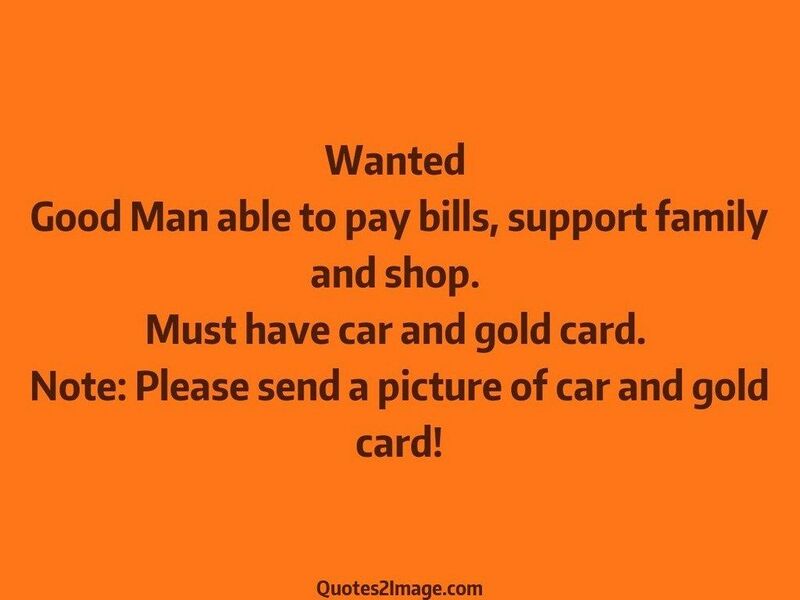 Note: Please send a picture of car and gold card!